Abu Dhabi Sailing & Yacht Club organizing Abu Dhabi Al Bwanich sailing race on Wednesday 4th of November, 2015. Our Club invites all competitors to register for the race by coming to our club or calling: 02-6583333. Also, the club invites all lover of Dhow sailing to follow & join our competition near the breakwater. 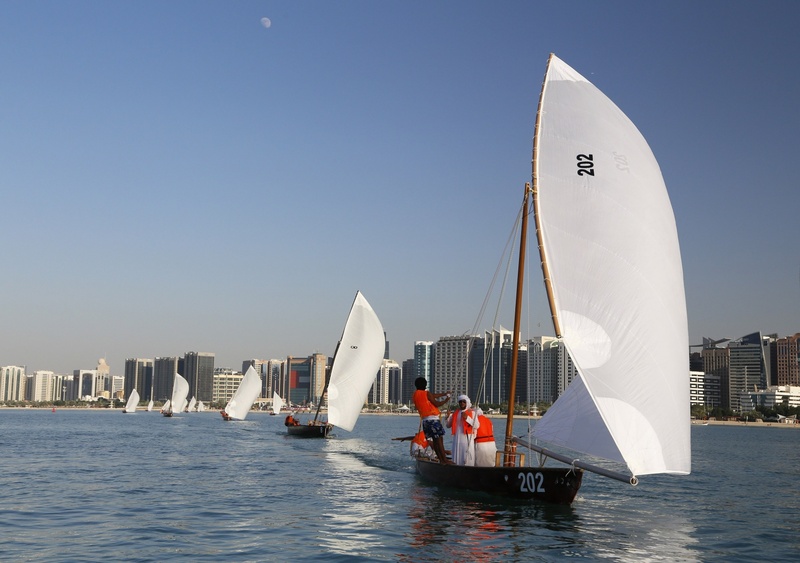 Al Bwanich is one of the old traditional races, which people used it for fishing and sailing on shallow water. It has a unique way in making it, which is made of one wooden board from trees trunks. The size of the boat depends on the tree trunk size. ADSYC management decided to keep this kind of boats alive and organize races annual. The races started to get peoples’ attention and number of participants reaches 160 sailors on 40 boats.